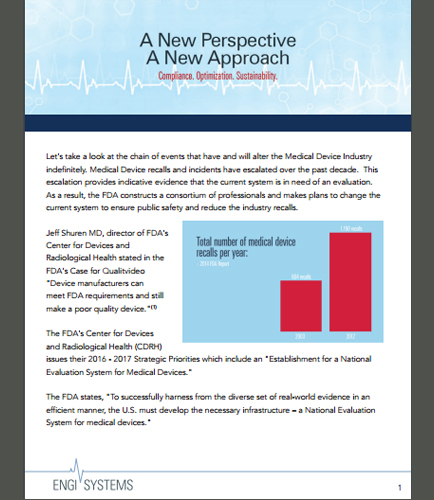 "How to build National Evaluation System for Medical Devices"
National Evaluation System for Medical Devices has been built using real-world evidence to improve device safety and effectiveness. The establishment of a National Evaluation System for Medical Devices generates evidence across the total product lifecycle of medical devices by strategically and systematically leveraging real-world evidence and applying advanced analytics. This whitepaper provides insights to organizations in order to meet regulatory compliance requirements while managing cost vs. patient outcomes through this National Evaluation System. What is the need of upcoming FDA strategic initiatives? How medical device companies plan and respond to the changing climate? How they can help improve compliance, optimization and sustainability? What are the highlights of the National Evaluation System’s strategic priorities plan? Mark your calendars for building the National Evaluation System for medical devices! !